Struggling FC Pune City won't go anywhere yet. Despite the uncertainty over Pune City's sponsors DHFL, the club owners have plans to remain part of the Indian Super League (ISL) next season, in a different avatar perhaps. Housing Finance company DHFL, a group firm of Pune City majority stake owners Wadhawan Holdings, are reeling from a fall in their stock prices, which has taken a toll on the club. 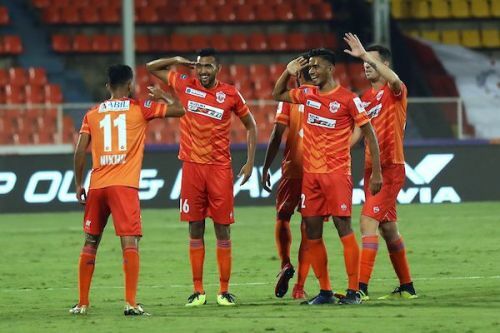 A media report claimed that Pune City, because of the financial duress it is in, has terminated the contract of its foreign and Indian players and will only field academy players for the Super Cup. Gaurav Modwel, CEO of Pune City and Wadhawan Holdings, denied these charges. "We aren’t taking an Under-18 team to the Super Cup. We are taking our youth players who haven’t got enough chances in the ISL season," Modwel told Sportskeeda. "We've players like Mohammad Yasir, who was impressive in the last game against Mumbai City and Rohit (Kumar) who was injured before. "Anuj Kumar is a fabulous goalkeeper who hasn’t played much because there is Vishal Kaith and Kamaljit Singh (in the pecking order above him). So the club wants to give a chance to these guys to prepare for the next season." First team players Robin Singh and Adil Khan confirmed that they have been asked to report back in Pune for training on March 10. "I wasn't told any such thing (that only youth players will be fielded in the Super Cup)," striker Robin Singh, who has 4 goals and 3 assists in this ISL season, said. "Yes, we didn't make it to playoffs but we have a couple of days off. We have been asked to come to Pune and train from the 10th. We may have a session on the 10th afternoon and from 11th, we'll start full-time training." "It's not just me. I think the whole squad wants to play the Super Cup. We have a positive vibe now and the whole team has a sense of togetherness. I will leave it to the coaches to decide who they want to field and how many of us they will field. But all of us do want to play." Adil Khan, who scored in Pune City's recent 2-1 win over Mumbai City in the Maharashtra Derby echoed Robin's views. "Initially the plan was to give young players and the players who didn't get much playing time in the ISL a chance," midfielder Adil said. "But now, the things have changed, especially after these rumours. I would love to play the Super Cup with FC Pune City and I am available for the tournament." Modwel, meanwhile, was optimistic that Pune City would remain part of the ISL next season. The 2018-19 ISL season did not exactly go as planned for Pune. They fired coach Miguel Angel Portugal three games into the season and spent most of the season on the bottom pile. Phil Brown took over from interim manager Pradyum Reddy and saw them to a seventh-spot finish in the 10-team table with 22 points in 18 games. There is talk that the club may pull out of the ISL next season but the owners are only looking for investors at this point of time. They are even considering moving out of Pune and operating under a different name. Even though many teams have complained of undergoing losses after investing in the ISL, no club has ever pulled out of the five-season-old tournament. Teams from Pune, however, have had a history of shutting shop abruptly, leaving their players in the lurch. The past few years have seen 3 teams from Pune - Pune FC, DSK Shivajians and Bharat FC - shut operations with many players accusing the clubs, Shivajians especially, of not clearing their salaries. For now though, Pune City is focusing on the Super Cup and have to play the qualifiers on March 15-16.